If you follow us on Twitter (you are following us, right? 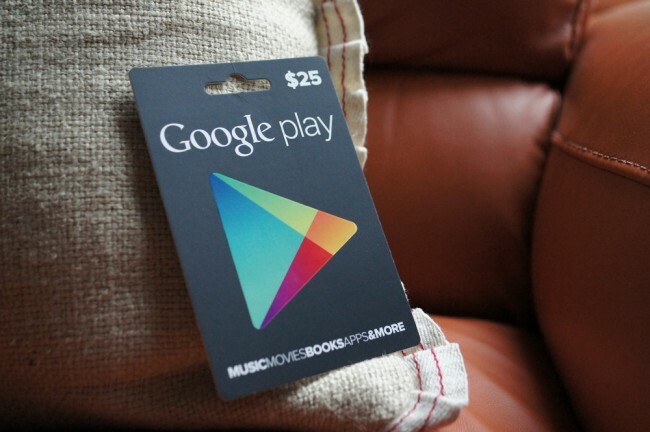 ), then you already know that we’re giving away five (5) $25 Google Play gift cards this week (one per day). Each year, as we approach X-mas, we try to give DL readers an opportunity to win a variety of prizes. For example, we gave away a Tegra 2 device a day for two weeks, last year. And while there may be something similar happening again this year, for now, we’re talking gift cards. Five of ’em. $25 each. One per day. To spend as you please in the Google Play store. Ready to try and win the first one? 2. Follow us on Google+. 3. In the comments, tell us the first apps you would spend this $25 gift card on.